A little over four hours from Havana, get lost in the cobblestoned streets of colorful Trinidad, picturesquely situated beneath the backdrop of the Escambray Mountains. The town, a UNESCO World Heritage site since 1988, was once the center of the sugar and slave trade back in the mid 19th century. Considered by many as the most beautiful town in Cuba, Trinidad is a mix of well-preserved colonial architecture, bell towers, grand mansions and humble, brightly colored homes. Trinidad is a major tourist destination, attracting many who come for the music, the dancing and the nearby beach of Playa Ancon. Sight See: Plaza Mayor is the town’s center, a picture postcard square of color with stately townhouses that once belonged to the sugar elite. Visit the 1892 honey-hued La Parroquial Mayor church, the sherbet-shaded Palacio Brunet (now the Museo Romántico), the turquoise-blue sugar-baron Sanchez Iznaga mansion (Museo de Arquitectura) and the gallery of Casa Aldemán Ortíz. Climb the bell tower off the square for a great view over the valley. Wander: Walk a few streets in any direction from the Plaza Mayor to experience a quieter, more authentic Trinidad where men go by in horseback, children play ball in the street and old women watch tv in their houses with the doors wide open to let in air. Shop: There is not much to buy in Cuba, and you will see the same crafts in all of the stores and open-air markets. Trinidad does a few nice pottery places and cooperatives selling handmade crochet tops, ponchos and scarves just like grandma used to make. Sugar Fix: Spanning across three interconnected valleys outside of Trinidad is the Valle de los Ingenios (Valley of the Sugar Mills) another UNESCO World Heritage Site. Visit Torre de Manaca-Iznaga, the 18th-century farmhouse once belonged to one of the area’s wealthiest families, converted into a restaurant. Climb the Iznaga Tower, originally built to observe the slaves working in the surrounding fields, for gorgeous views of the surrounding valley and sugar cane fields. Further out of town explore the ruins of San Isidro de Los Destiladeros, one of the old grand sugar mills, where workers are in the early stages of a grand restoration project. Eat: We ate dinner at 1514 , where the ambiance was superior to the food, as we dined on antique china in an elaborately decorated room lively with live music and salsa dancers floating between the two dining rooms. Other noteworthy restaurants include: Sol Ananda, La Botija, La Redaccioón and Sol y Son. Salsa: Casa de la Musica is one of those special places, an outdoor dance party under the stars right off the Plaza Mayor. Go early to get a table, order a Mojito, then sit back and watch the amazing dancers. There’s a good chance you might get invited to join in. People spill out onto the street; a mix of locals and tourists from all over the world. Other music and dancing spots include: El Rincon de la Salsa, Casa de la Trova and La Cueva, a huge nightclub housed inside a natural cave in the hillside. Sand and Sun: Playa Ancon is a 2 ½ mile stretch of white sand with options for snorkeling, scuba diving or deep sea fishing. 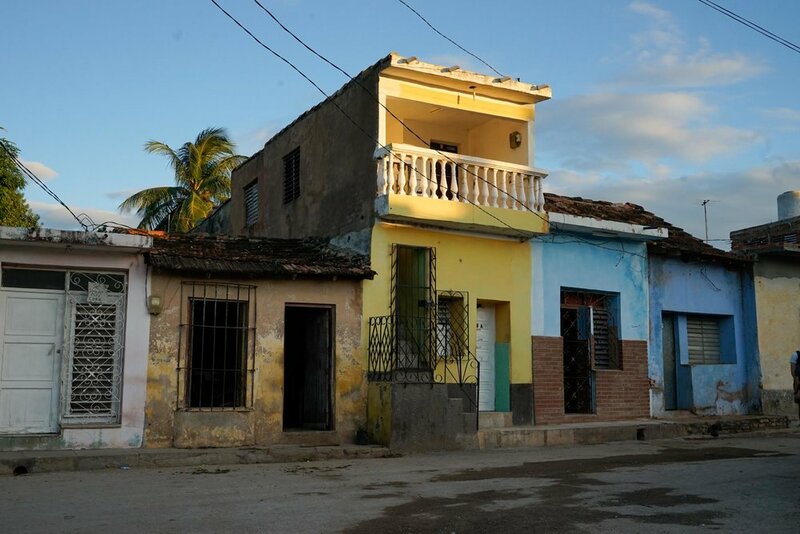 Side Trip: On the way to or from Trinidad stop in seaside Cienfuegos, known as the Pearl of the South. (About 3 hours from Havana) Have lunch at Palacio del Valle, an ornate jewel with Spanish Moorish, Gothic and Baroque influences across from the water. After lunch, leave time for a walk along the Paseo del Prado and the lively Boulevard San Fernando. Parque Jose Marti is impressive, considered one of the most beautiful and well preserved in Cuba. Here you can see The Cathedral with its asymmetric towers, the Government's Palace, the Ferrer Palace and the Tomas Terry Theater dating from 1890.